FALL RIVER Dotmed Inc., a website for dealers in medical equipment, named city firm Physicians Resource Network as the No. 1 medical equipment dealer in the United States. 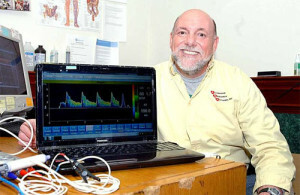 The company, owned by Fall River native Robert Gaw, sells a wide variety of used and reconditioned medical devices out of an office and warehouse at 218 Shove St. The company also has a division selling new Vicorders. A Vicorder is a device used to detect arterial disease. “I’ve been in this business for 28 years,” Gaw said Tuesday. I started in my garage in Tiverton.